Adult diffuse gliomas form a heterogeneous group of tumors of the central nervous system that vary greatly in histology and prognosis. A significant advance during the last decade has been the identification of a set of genetic lesions that correlate well with histology and clinical outcome in diffuse gliomas. Most characteristic driver mutations consist of isocitrate dehydrogenase 1 (IDH1) and IDH2, and H3 histone family member 3A, which are strongly associated with DNA and histone methylation patterns. A well-characterized DNA methylation aberration is on the O6-methylguanine-DNA methyltransferase promoter. This aberration is associated with an improved response to the DNA alkylating agent, temozolomide. Methylation alterations are used for classification or treatment decisions of diffuse gliomas. This supports the importance of considering epigenomic aberrations in the pathogenesis of gliomas. 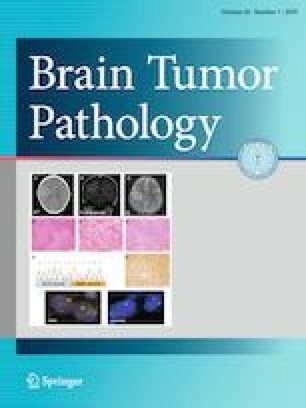 Recent DNA methylation analyses revealed a small group of IDH mutant diffuse gliomas exhibiting decreased DNA hypermethylation resulting in substantial unfavorable prognosis comparable to glioblastoma. Thus, DNA methylation patterns may become a new standard that replaces the conventional grading system based on histological diagnosis. In this review, we summarize recent developments regarding the contributions of methylation patterns to the pathogenesis of adult diffuse glioma, the interactions between methylation patterns and driver mutations, and potential epigenomic targeted therapies. We would like to thank Editage (http://www.editage.jp) for English language editing.